The Vinrac 48 bottle wine rack is an attractive way to safely store your wine. 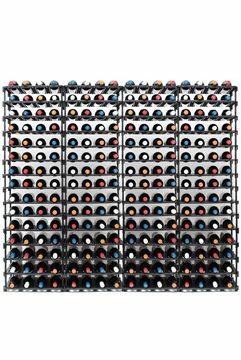 It makes for a perfect modular wine display solution for cellars, homes, restaurants, bars and even wine retailers. 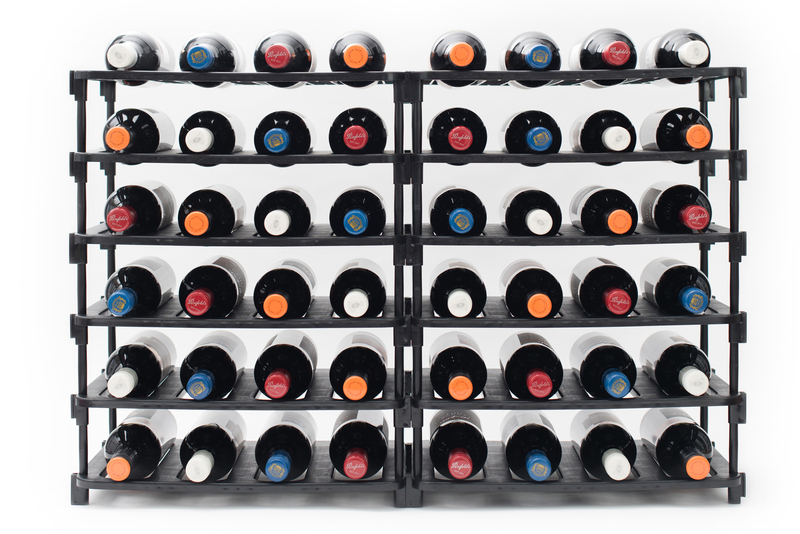 You can extend your wine rack sideways or vertically as your wine collection grow. 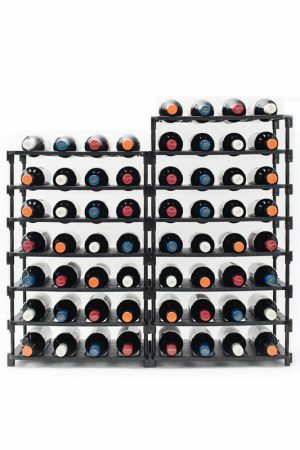 It’s great for a home wine cellar, and can be positioned under stairs, alongside walls, and even can be placed inside or on top of cupboards. 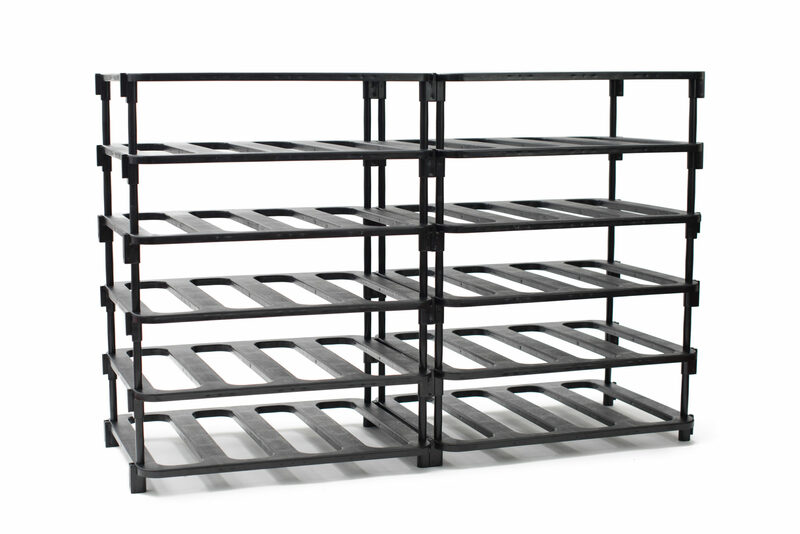 Plus it’s modular design makes it so easy to assemble. 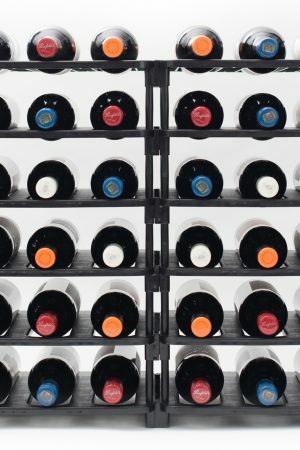 It makes the perfect gift idea for the wine lover. 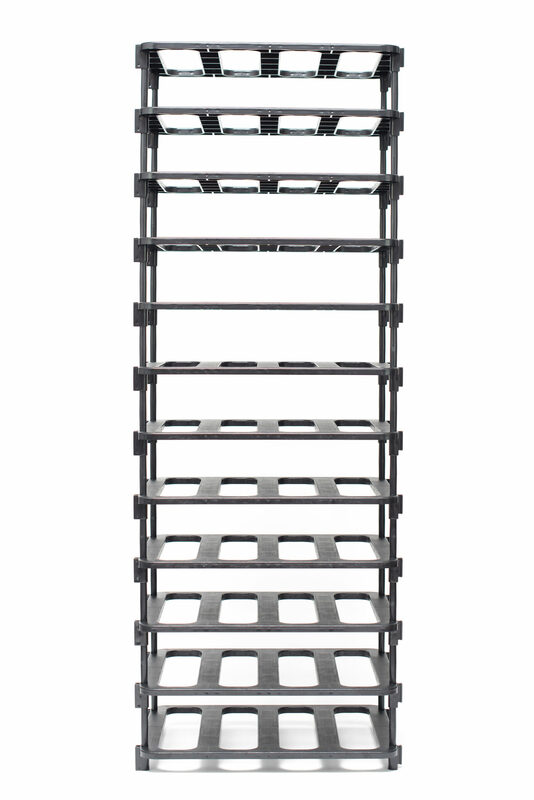 Free standing – no need to anchor it to the floor. You can easily move it any time you need to or pack it up and take it with you when you shift house. 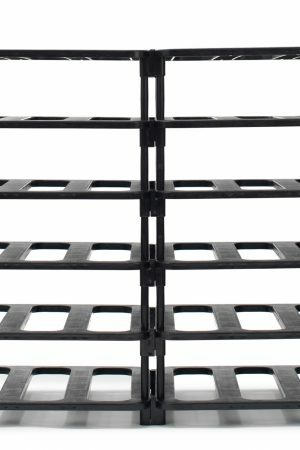 We recommend that wine racks more than 1 metre high be affixed to the wall using the brackets provided. 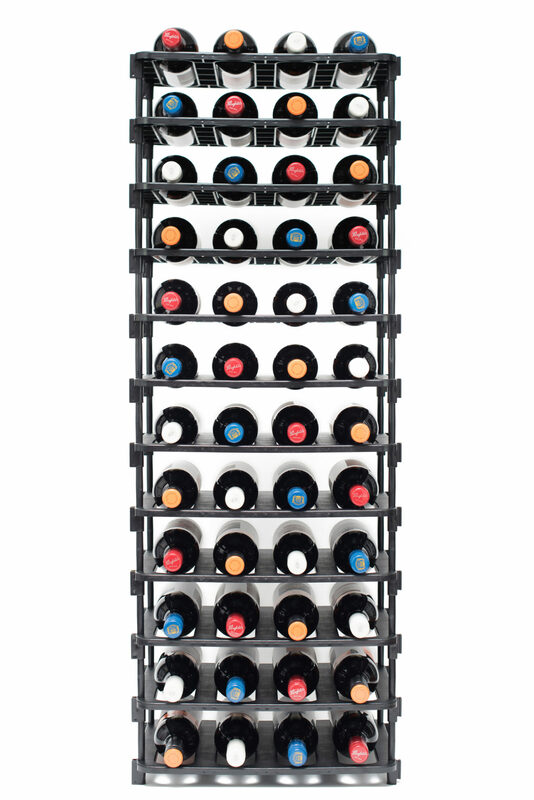 The fourty-eight bottle wine rack measures 1704mm(W) x 918mm(H) x 319mm(D). Although it takes up little space, its intelligently designed bottle cradle can hold bottles up to 90mm in diameter, allowing it to cater for common champagne bottle sizings (most wine bottles are 75mm). 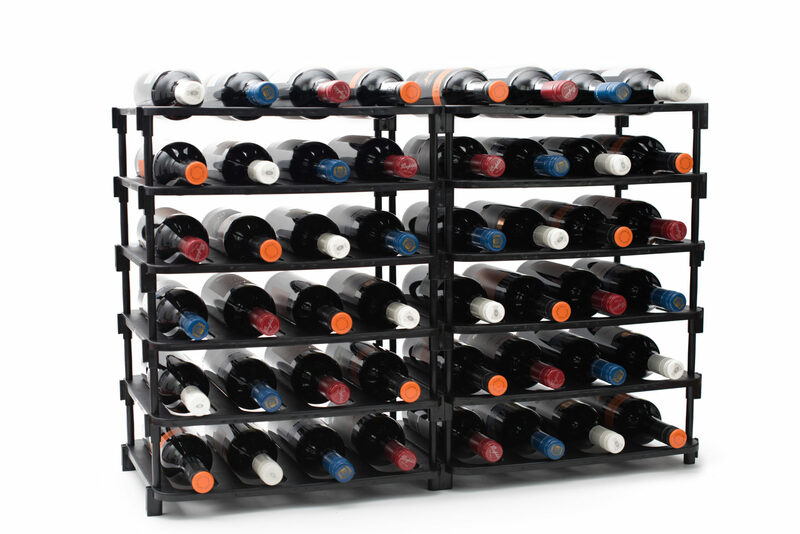 With a Vinrac wine rack you can add more racks as your requirements grow. 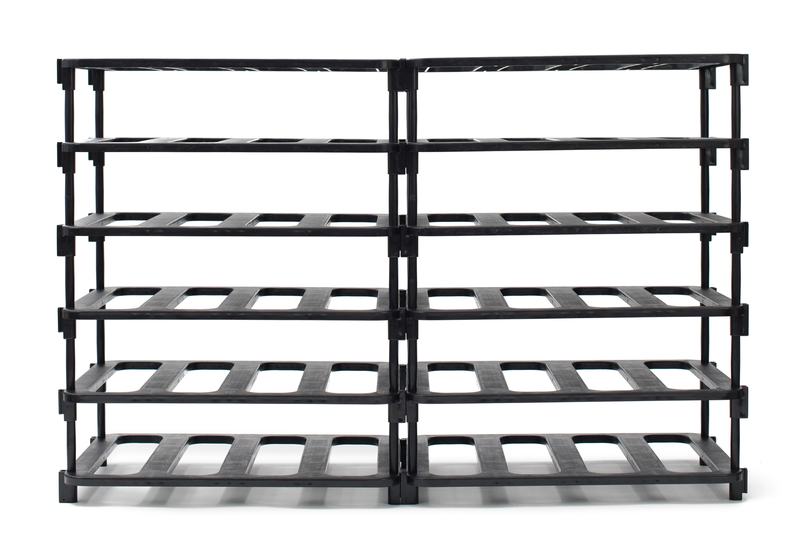 Each extra tray adds 102 mm height. 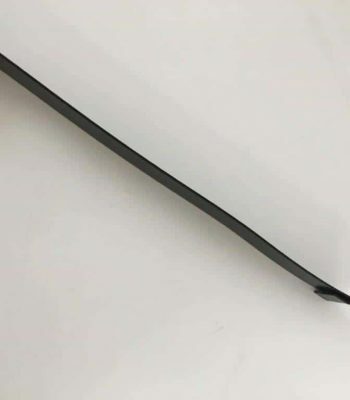 Learn more about sizing on our Dimensions page. We make the whole process of putting together your new wine effortless. 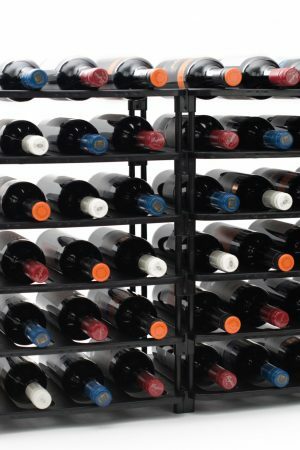 Our secure and straightforward process will see your new wine rack at your door in the shortest time possible. 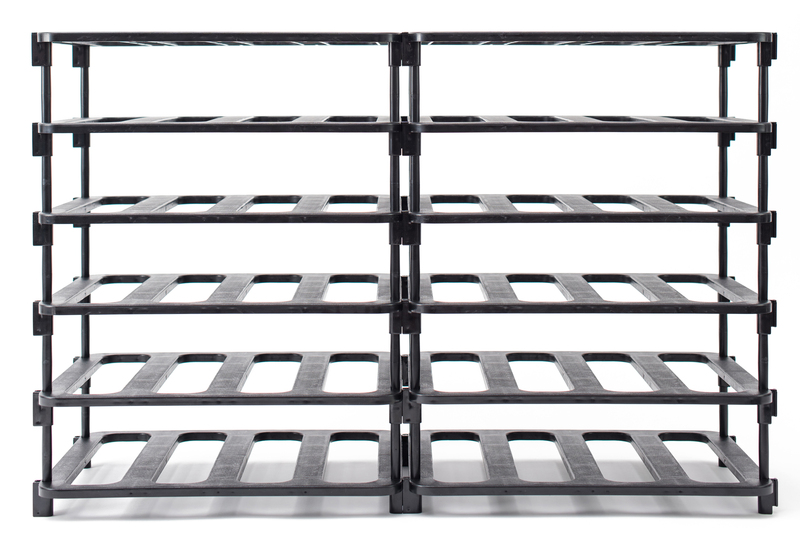 Installation is simple – no tools or expertise required. 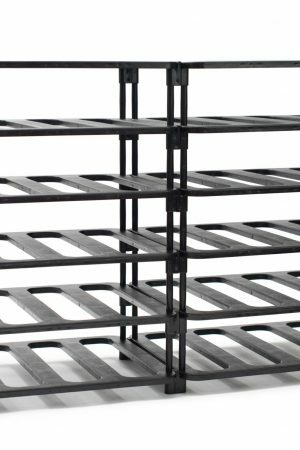 All instructions are provided (or visit our installation page) which will walk you through the process and in minutes you can be enjoying your stunning new wine rack. 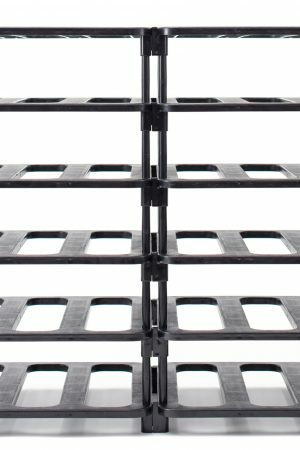 The tough, moulded fittings slot firmly into each other providing real structural stability and strength. 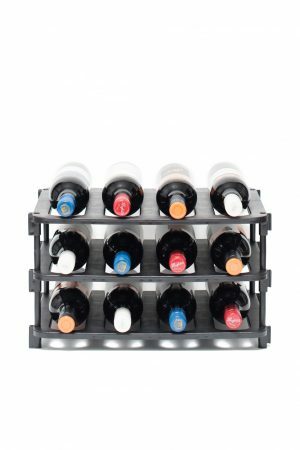 With Vinrac you can make your new wine rack an impressive centre of attention or give one to a friend as a delightful gift idea.